Welcome to my Friday Author Spotlight, today I will be doing a character interview with Bane. He is a miner in Ancient Voices: Into the Depths, Allison D. Reid’s second book in the Wind Rider Chronicles. I am happy to have them both here today for your enjoyment. Hope you will look into adding Journey to Aviad, the first book in the series to your reading list. Best news about this book, it’s permafree. Do you have a chosen profession? What is it? In recent years, I purchased a claim in the mountains of Minhaven and learned to be a miner. I do not seek riches—just hard, honest work, and a quiet life in obscurity. What I did before…well, that knowledge I guard carefully, for my own sake as well as that of everyone who knows me. It is a life I will never return to. Is there one person you would move heaven and earth to protect? Who is it and why? There are three people, actually: Morganne, Elowyn, and Adelin. Since the day they walked into Minhaven alone, I have felt responsible for them. My reasons are my own. Perhaps in time I shall reveal them, but for now I must keep them to myself. What is your greatest fear? How did/will you overcome it? My greatest fear is that I will never do enough to make up for my past—that the stain of blood on my hands cannot be cleansed. I don’t know that I shall ever overcome this fear, but that will not stop me from spending the rest of my life trying to be the man I should have been all along. What is the most important lesson you’ve learned about life? That the greatest joy can be found in the simplest things: a quiet night in the tavern, a child’s smile, the glory of the sun rising from the sea, and setting behind the mountains. I have also learned that the best way to redeem my past is not to run from it, which is futile, but to forge a new future while accepting who I am and whatever consequences may yet come. I shall not fear them. What is the biggest regret you have? Can you explain? I sincerely regret the path that I took as a youth. It seemed a wise choice at the time—one that would lead to prestige and riches beyond imagining. Yet in exchange it took two priceless things from me that I shall never recover; my family, and my honor. Do you have a secret you’ve never told anyone? Would you tell us? I indeed have many secrets, locked away in my mind. Despite my efforts to banish them to the abyss, they often emerge to torment me in the dark of night, haunting my thoughts and dreams. No, I will not share them, and for that you should be thankful. They are my burden to carry alone, and I will do so to the grave. Tell us about your nemesis. Why are you to enemies? How did it happen? The identity of my enemy has not yet been revealed to me. He is the one directing the attacks against my fellow miners in Minhaven. Perhaps it is Braeden—that is who I suspect—and he has already done plenty to earn my enmity with his burdensome tax demands. But there could be another; one who serves Braeden and willingly does his dark bidding. In time, I hope to discover the truth, and when I do, my enemy had best look carefully to the shadows, for my blade is swift and deadly. 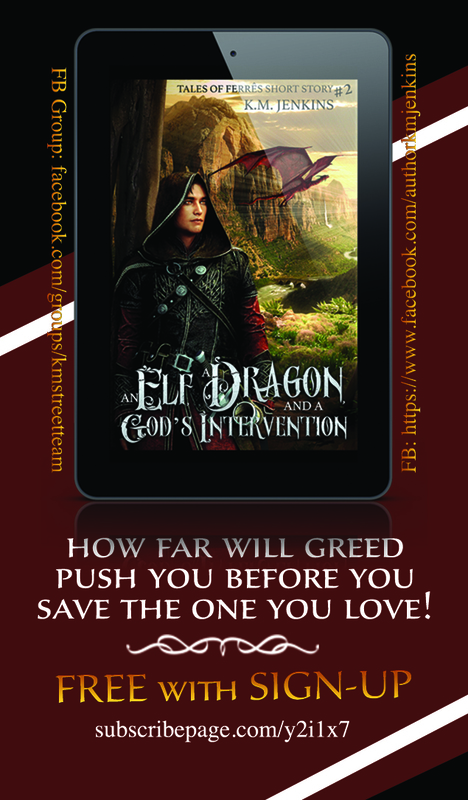 Allison D. Reid is a Christian Fantasy author with a fondness for Medieval history. Her first published series, the Wind Rider Chronicles, embraces traditional fantasy elements but is also infused with deeper spiritual themes. Learn more about the author on her website https://allisondreid.com. Her first book, Journey to Aviad, is free in ebook format on Amazon and at other online book retailers. #ArtoftheArcane ~Autumn Sci-fi & Fantasy Fiction Giveaway!